Already has all the modules needed to operate your produce company in an efficient manner. 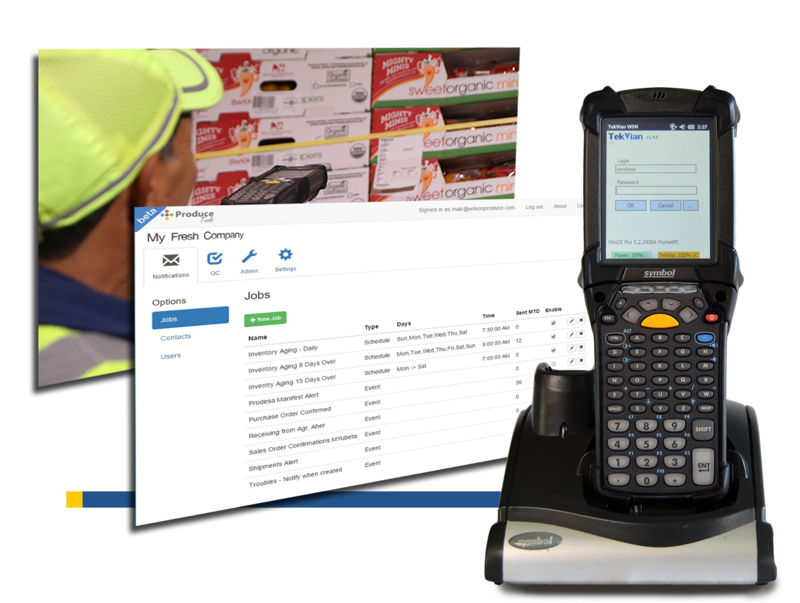 Warehouse Management System: A handheld application to operate warehouse transactions in a more efficient manner through a wireless network inside your warehouse. You will know where exactly is every box allowing you to do a very efficient handling of your operations. Notification system: Setup alerts and information being sent automatically to your inbox.